Alfa Romeo is still very much a brand that auto enthusiasts adore, but things were a bit different back in the earlier days. 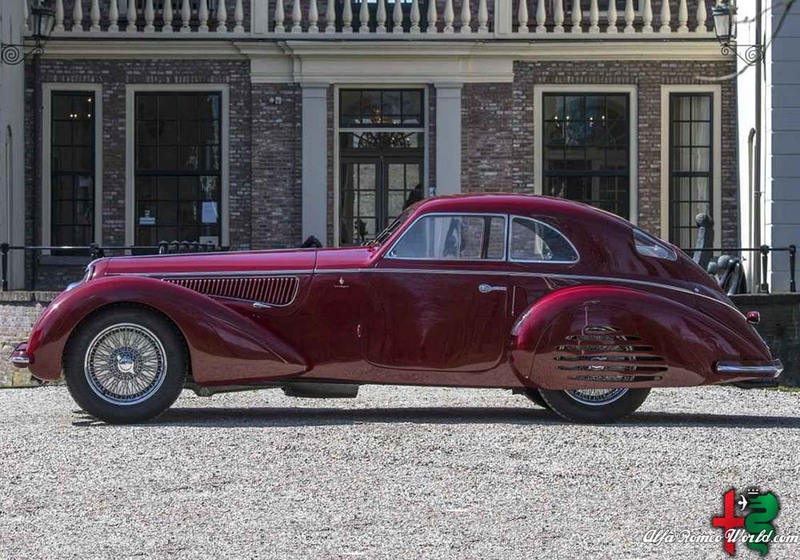 Consider this stunning 1939 Alfa Romeo 8C 2900B Touring Berlinetta, built shortly before World War II consumed Europe. Lest we forget, this era predates Lamborghini and Ferrari, the latter of which was founded the same year this car was built. Alfa was the epitome of Italian elegance and performance in those days, which is partly why this Pebble Beach Concours d’Elegance winner could bring $25 million when it crosses the auction block in February. Yes, it’s for sale. To better understand that value, one must better understand the car. The 2900 was originally designed with racing in mind, using a chassis based on the 8C 35 Grand Prix car. Production versions were built, featuring a fabulously long inline-8 engine displacing 2.9 liters and crowed with a pair of superchargers. The B model made some changes in the name of comfort and better reliability, but it still delivered impressive performance wrapped in arguably the prettiest body in all of automotive history. This particular car is a berlinetta with a body by Italian coachbuilder Touring, and only five were built. The car was purchased in 1939 and shipped to England, where it had four owners. The Alfa’s current owner watched his father buy in 1976, and for reasons not explained has decided to part with it. Admittedly, an estimated $25 million value could have something to do with that. Any way you cut it, this vintage Alfa is absolutely stunning. This prewar model literally marks the end of a grand era for the automobile, not to mention a period that many auto historians consider to be Alfa Romeo’s golden age. Artcurial Motorcars will auction this vehicle in Paris on February 8, and with its well-documented history, there’s every reason to believe it could fetch $25 million or possibly more.